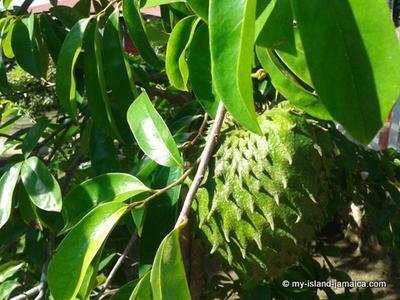 Do you know much about Soursop leaves that come from Jamaica? This is a rather unusual post, but I decided to share it with you and all my readers, so you, and perhaps someone you know, will benefit. Long story short. I received the question above from Terry, one of most ardent followers on this website. She has a family member who is currently battling cancer and needed some information on sour sop leaves, which is considered one of the most potent treatments of cancer right now. Below is the entire email string. Please read her question and my full response. Of course, I welcome your comments. What I want to know about Soursop leaves is whats the best way to make the tea leaves? What to add to the tea? I ordered some from Jamaica and wanting for it to come in. My husband ordered the Juice through Jamaica on Amazon. He now has cancer and some of the cancer patients was telling him about it here in Houston. That they had order some and it has helped some of them? They told us to try the Soursop tea leaves too so I ordered some for both of us. I have rheumatoid arthritis for many years and I believe this may help me too. We can't get the fruit hear in Houston the Philippine Markets told us its a seasonal item? And that's the only time they can get the fruit itself. I had read some information on your Website about it before and wanted to learn more. So Wellesley that's why I emailed you for some advise on it. We want to see if this plant helps. Any advise you can give us would be appreciated your help. Thanks for reaching out and clarifying your request my friend. I'm actually glad you did. Yes, soursop in itself, is an amazing fruit, and the more I read about it, the more I learn and appreciate it. And the leaves are exceptionally powerful. It is said that sour sop is potent in retarding cancer cells, as its active ingredient that is 10,000 times more effective that chemotherapy in fighting cancer cells. And this is all types of cancers, lung cancer, breast cancers, prostate cancer etc. For treatment, it is recommended that you boil 10 soursop leaves in about 3 cups of water until is reduces to about 1/3 or 1 cup. Let him have that every morning for 3-4 weeks. It is said that soursop leaves is now one of the most effective cures till date against cancer, and yes, we have it grown abundant in Jamaica. I now have two trees in my backyard here in Montego Bay, but back in Westmoreland where I am from, we have an abundant, even growing wild. Jamaica is truly god's gift to us. But soursop leaves is not only effective against cancer, it is potent in the treatment of uric acid, back pain, eczema, rheumatism and diabetes. It also boots the immune system and helps to prevent infection by inhibiting the growth of bacteria, parasites and tumor development. Its healing properties make it capable of being used as an anti-seizure medication. It is also capable of reducing fever and lowering high blood pressure. It is useful in the treating inflammation and swollen feet, aids in digestion and improve appetite. I've also read that it is is powerful is the treatment of head lice (in hair). And finally, note that regular consumption of Soursop leaves improves stamina and facilitates quick recovery from illnesses and diseases so you can join him and protect yourself as well my friend. Here are two great information resources on youtube that will help you my friend. Be sure to click on the links and watch them to learn even more. I hope this helps my friend. 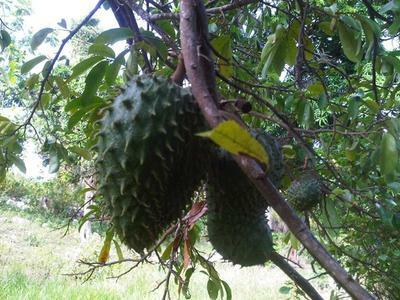 By the way, did you see my YouTube video on Soursop, the fruit. I was in the country and took the opportunity to share the fruit with my readers. If you miss it here it is. https://www.youtube.com/watch?v=q2sudgzyja4. Good luck and I wish you and your husband God's richest blessings. See also: How To Make Soursop Juice. *Email removed for Terri's privacy. P.S. I welcome my readers' comments here. P.P.S. Can't get the leaves directly from Jamaica? You may consider purchasing online via Amazon. P.P.P.S. 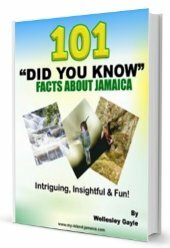 Remember to click here get even more answers to frequently asked questions about Jamaica. 11 Impressive Health Benefits of Soursop By Malia Frey, https://www.verywellfit.com/soursop-tea-benefits-and-side-effects-4163737, Accessed on August 23 2018. Soursop: The Vitamin C Superfruit that May Help Fight Cancer, https://draxe.com/soursop/, accessed August 23 2018. Comments for Do you know much about Soursop leaves that come from Jamaica? I remember as a child a lady asked my mom for a remedy for head lice. My mom told her to parch the Sour Sop seeds in a Dutch pot, then crush them to a powder. Add vaseline and place the mixture in her daughter's scalp, then tie with a scarf and leave it in place overnight. The lady was happy as she did not have to shave her daughter's hair as they used to do back then when a child had lice. should the leaves be dried? All the best for the new year. I find your emails quite informative and of course helpful. I have always heard of this but unsure of how to use it. My question is though, should the leaves be dried before using? Thanks for the greetings. Same to you my friend.